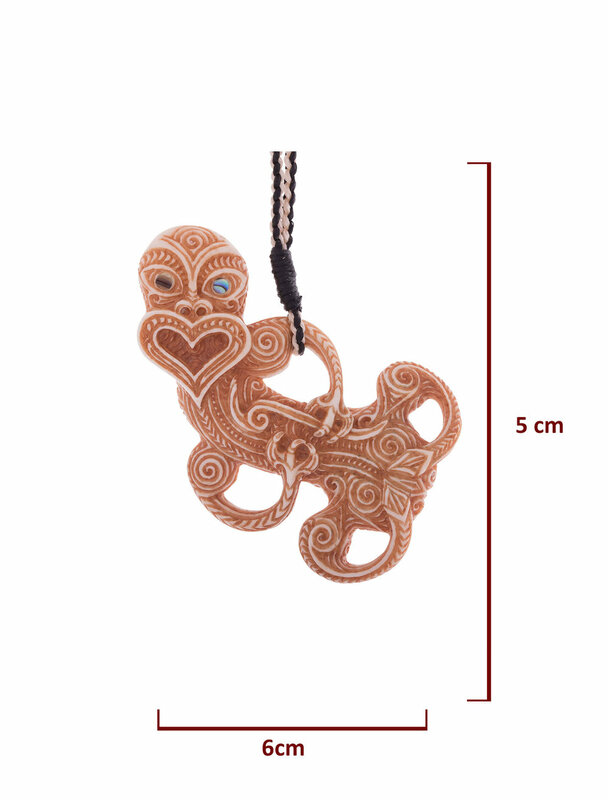 This Hei Tiki is named Te Puna Tōmairaki. It is based on the northern tribes style of Tiki as many years ago I was given the blessings to carve Hei Tiki and utilise the design within my art work by a master carver and kaumataua of the far north. I very rarely do them however I've had some inspiration recently to do this one-of-a-kind carving. This Taonga is using symbolism to denote a story that this Tiki is wanting to fully express. The mouth is wide open which represents the voicing of its inner being which the curve and linear lines represent. Tōmairaki is in reference to the morning dew waters and the essence of these waters. Such waters were utilised by Maori healers for purification of body, mind and spirit. Thus allowing new life to come forth into the world. Its full name is Te Puna Tōmairaki. It carries both the masculine energy and feminine essence that brings forth life, but not just ordinary contaminated life, instead it brings forth the perfectly purified life. There is a saying that pure intention brings pure love which is divine.